I'm going to have to apologise for the poor quality of these photos - my camera wasn't playing ball that day. 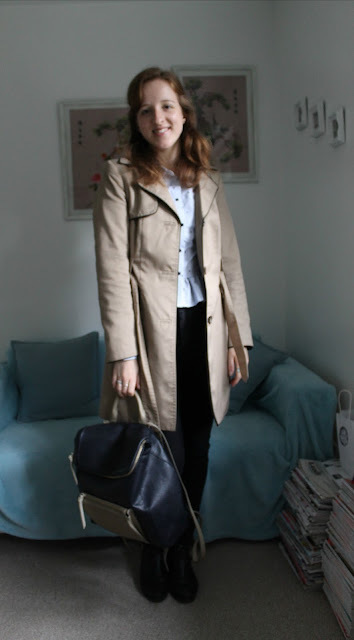 On the plus side, it's not a selfie in a mirror like these old blog posts! Onto the star feature of this post (see what I did there?!) 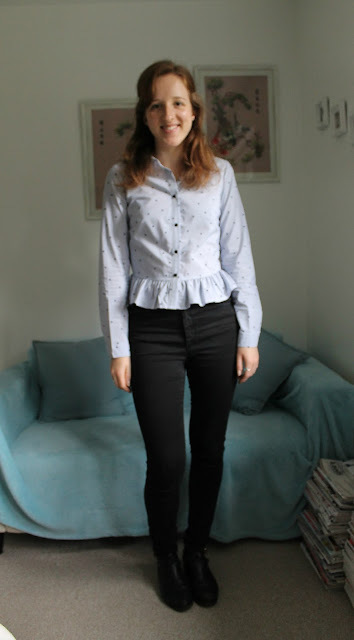 I found this pretty star peplum style shirt in Primark a few weeks ago, and they've since brought out a few other variations. I feel like star prints will soon be my new spots and stripes and basically every item of clothing will have a star on it. With the peplum tops and shirts I own, I find you do have to wear high waisted jeans or skirts as they normally sit on your waist and flare out. Personally, I much prefer high waisted jeans to low rise styles! This week has been filled with tons of work and catching up - I just can't believe we're almost half way through October and it's nearly Christmas. I'll be writing a full catch up post this Sunday, so keep an eye out for that! What do you think of this outfit? Do you like star prints too?